Mexico has become a popular choice that sets itself apart from other outsourcing companies with its top talent and convenient location. This country is no longer a hidden gem for software development outsourcing, or “near-sourcing”, given its proximity to America. As an outsource partner, Mexico benefits from a strong tech sector labor force, competitive wages, a mature infrastructure and the advantage of geography. For companies working with outsourced software development teams, outsourcing to Mexico makes a lot of sense. Unlike India, where there is a 10 to 12-hour time difference, Mexico is on the same time zone, or close enough, depending on where you are based. 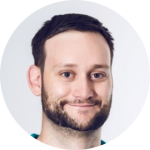 When working on agile development projects, it can be an enormous advantage to have real-time communication with an outsourced team. Around the world, demand for talent in the tech sector still outstrips supply. Supply and demand mean that developers, especially those in developed economies such as the U.S., can command high salary exception. Governments and the education sector is moving quickly to solve the talent shortage. Since 2006, Mexico – compared to other Latin American countries – has taken the lead in training a new generation of science, technology, engineering, and mathematics (STEM) graduates. For U.S. companies looking to near-source software development, IT support, and other technology projects, developers in Mexico could be the solution you’ve been looking for. Mexico is committed to solving the technology talent shortage. Between 2006 and 2012, Mexico opened 120 specialist technology tuition-free universities and expended 96 schools and colleges to accommodate science and engineering courses. A few short years after this major push on education, Mexico was producing nearly as many STEM graduates as America. As the World Economic Forum notes in 2015, the number of STEM graduates increased from 15.5% in 2005 to 21.3% in 2012. When we look at computer sciences, in particular, Mexico is now sixth in the world, with over 13,000 graduates. Mexico now stands proudly alongside other Organisation for Economic Co-operation and Development (OECD) countries when it comes to producing technology and computing graduates. One such powerhouse of this growth is The Instituto Tecnológico y de Estudios Superiores de Monterrey (ITESM), with 30 campuses in 25 cities. ITESM is so well known for producing top talent, with numerous links to industry, that Heinz College of Information Systems and Public Policy at Carnegie Mellon University has partnered with them on joint masters in software engineering management. In high schools across Mexico, STEM subjects are increasingly popular. Numerous private, local, government and nonprofit-led initiatives, such as Code GDL encourages school children to learn CSS, Java, and other languages at an early age. Mexico is making a great effort to create a talent pipeline from school onwards that can support a strong and diverse tech sector, and meet the needs of technology partners, clients and employers in the U.S. and further afield. Mexico is a developing country with a mature infrastructure. In recent years, the Mexican government and private developers have invested heavily in business and technology parks. Since 2013, the following parks have been opened with facilities and offices that are comparable to any U.S. business park: Monterrey Technology Park, Apodaca Technology Park, and Guadalajara Software Center. 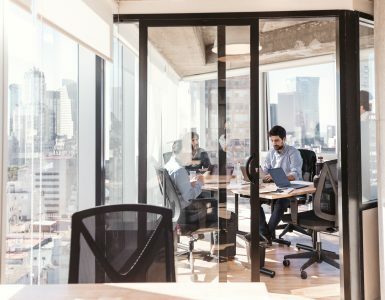 Ongoing public and private investment in office parks and workspaces for tech companies is increasing as the demand for talent continues to grow. Guadalajara is part of Mexico’s “Silicon Valley”, with a thriving tech workforce of 115,000. It should be also noted that some companies are no longer content to outsource at a distance: Oracle, Amazon and other tech giants are busy recruiting local talent and expanding operations here. We expect that to continue over the next few years. Competition for software engineers, developers and those with specialist skills, such as machine learning and cybersecurity, is increasing, with more graduates flooding the jobs market with those much-needed skills. 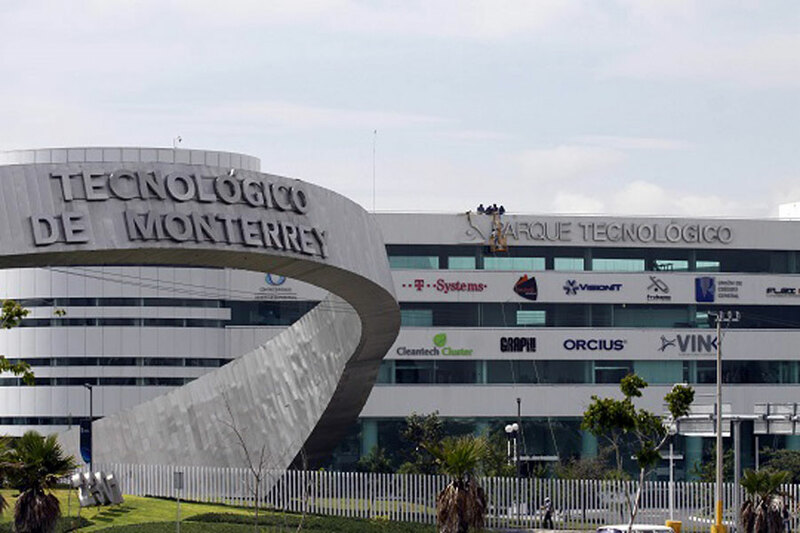 Mexico’s infrastructure, talent pool, and technology parks are attracting more international brands looking to offshore or employ IT teams directly, and there are more startups and software companies forming in Guadalajara and around the country. Consequently, there is a talent pool that is drawn to work for development firms that can offer U.S.-style workplaces and office perks. 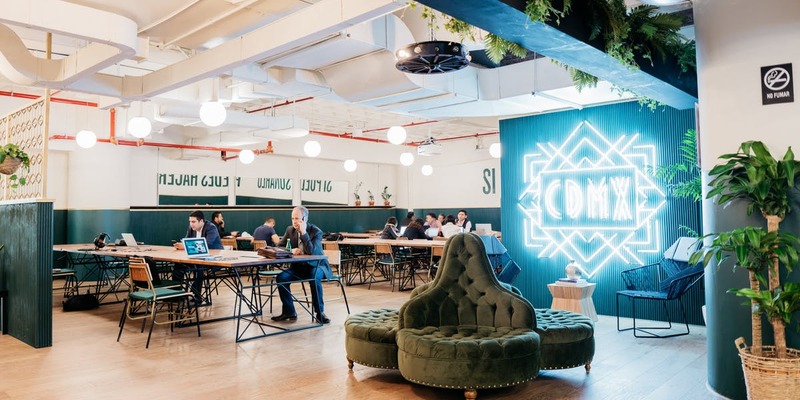 It’s also worth noting that co-working spaces are more popular in big cities, with WeWork and competitors opening dozens of sites across Mexico in recent years. However, we should address the image problem that Mexico has. The Mexico that gets media attention and Mexico for the majority of the population, and for those who outsource work to local suppliers and partners are two different things. As President Clinton said, we hear about the violence and drugs gangs. We don’t hear about millions of skilled developers working on amazing projects for local and international companies. Under the Trump administration, it’s increasingly difficult for Mexicans to obtain skilled worker visas, known as a H-1B. But for many, as this Wall Street Journal article states, this is turning out to be a blessing in disguise, with a thriving tech sector eager to hire those who would otherwise have moved to the U.S.
It’s true that drugs gang violence in some regions – nowhere near the technology parks – often makes the headlines in the U.S. However, for the most part, the Mexican government is stable and pro-business, with a stable and strong economy. Working with partners in Mexico is far easier than working with a development team in India, China, Indonesia or anywhere else in Asia. It is on or near most U.S. time zones. Close enough for everyone on both sides of an email, Skype, Slack, Telegram or whatever collaboration tool you prefer to engage in real-time calls and exchanges. Flying to Mexico isn’t a huge ordeal either. With over 300 flights daily, you can meet in person, or a software outsource partner can fly up and meet your team. Compared to India, where flying time can take up to 30 hours (depending on where you’re flying to and from), it takes less than 6 hours from most mainland U.S. airports. Communicating with an outsource team in India incurs a 10-12 hour gap, which means you often won’t get a response or any action taken until the next working day, even with the most attentive outsource partner. Language isn’t a problem either. English is widely spoken, especially amongst degree-educated computer science and engineering graduates. It is the international language of business and an invaluable skill, one that is encouraged in Mexican workplaces and of course, when communicating with clients. Spanish is also widely spoken, which can also be an advantage. 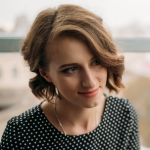 Software developers haven’t simply learned computer languages and how to manage projects, they know from experience and investment in continuous personal development (CPD), how to work with clients in the U.S. and further afield. You will find the same levels of professionalism, commitment to getting the job done and managing client expectations in Guadalajara as you will in San Francisco. In countries such as India, competition for talent amongst international firms and those who work for international clients is fierce. Of course, as Mexico gains more exposure to the international outsourcing market, we can expect more competition for talent. However, for the most part, retention rates are much higher. For clients in the U.S., this is an advantage. It means you should start and finish a project with the same lead developer. The knowledge and talent that worked on a project should stay in the company you worked with, which also means any new recruits can benefit from the retained knowledge and experience. When staff turnover is high, companies lose a lot more than the outputs of those who went to work for another firm. Institutional knowledge is lost, as are technical solutions to difficult challenges; some of which will impact projects software firms are working on for clients. It also means you should receive ongoing support – depending on the contract terms – from the same team. The reasons to invest in outsourcing of software development to Mexico: near real-time communication, a professional, hardworking attitude, a commitment to results and high staff retention rates. It shows that the majority of Mexican software companies are working hard to recruit, retain, train and look after staff, their talent pool and clients. As we’ve mentioned, Mexican software and IT partners take service delivery seriously. Mexico wasn’t always thought of as a mature and reliable partner. Not in the same way as Canada, India or China, and from an image perspective, it still has some catching up to do. It was, until recently, a destination for cheap labor investments and outsourcing. And in some industries, that is still the case. 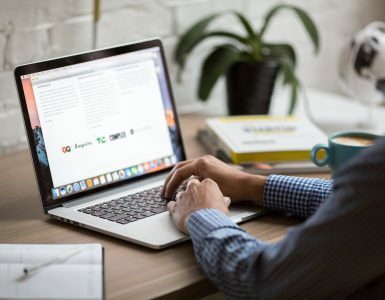 However, in technology, software development, help desks and more complex solutions, such as cyber security and machine learning, Mexico is increasingly seen as a go-to destination for American businesses. When working with outsourcing companies in Mexico, you should expect the same level of professionalism you can get at home. Agree on timescales, deliverables and processes. Have a clear process in place to ensure a project stays on schedule and on budget, with responsible parties in both teams to coordinate efforts and keep the lines of communication open. As is the case with any outsource project, ensuring both sides listen to one another, ask the right questions, and there is transparency, is key for delivering successful outcomes. One of the advantages of YouTeam marketplace is that you get to pick the development team who will be working on the project, giving you transparency and greater trust in what is going to be delivered from the initial conversation through to completion. And finally, when it comes to the advantages of outsourcing to Mexico, we can’t deny that cost is an attractive factor for companies looking to scale without absorbing the higher salaries recruiting the same skills in America would incur. In Mexico, the starting salary of a software engineer is usually around $22,500. In time – around 15 years experience – this can increase to over $70,000. In the U.S., on the other hand, a starting salary of around $100,000 for the same skills, is not unusual in competitive tech hubs. Even in tier-II cities, software developers can command high salary expectations due to demand and chronic shortage in suitable talent. 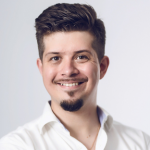 Salary costs aside, the cost of coordinating projects with Mexican teams are significantly cheaper than you are going to find when working with outsourcing partners in other parts of the world. 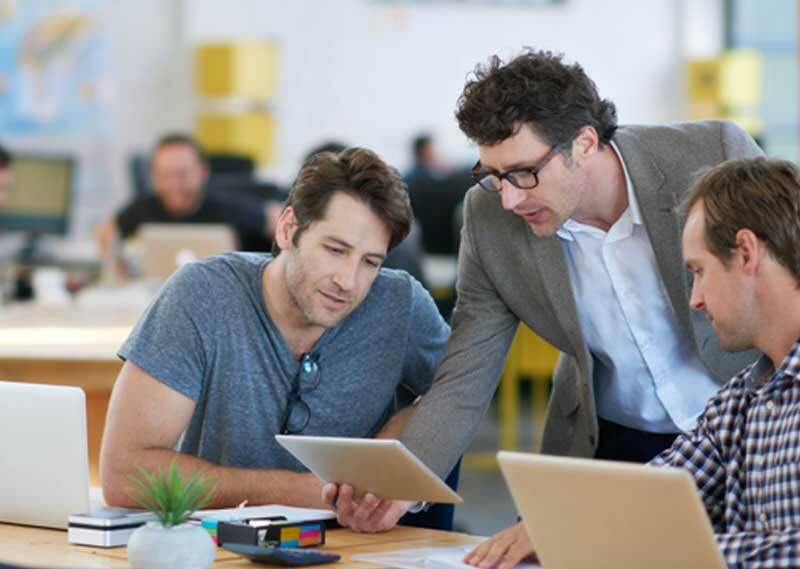 With near real-time collaboration, it reduces the risk of misunderstandings, or work being done that wasn’t needed, or mistakes that can occur when requests for changes aren’t delivered on time and as needed. Lower salaries – and therefore day/project rates – and a vibrant and strong labor force means that you can access the talent, skills, and experience you need to create mission-critical technology projects, with none of the downsides of outsourcing further afield. Agree on timescales and project milestones and when various aspects will be delivered. Make sure milestones are hit, or any delays on either side are fully explained and understood. Whether you are working with developers in Mexico, Canada, India or Indonesia, these challenges are the same for outsourcing the world over. As we’ve outlined in this article, Mexico comes with numerous advantages, which is why it has become such a popular choice for U.S. companies with tech projects that need a reliable partner to deliver the work. At the same time, in recent years, India has fallen out of favor as an outsource partner. Let’s take a look at why. Firstly, before we look at why India is no longer number one for software outsourcing; what about other Latin American countries? Countries such as Costa Rica, Colombia, Argentina: are they worth exploring as an option? Yes, they are. However, when it comes to a market leader for talent, Mexico is clearly ahead of the pack. Mexico has the infrastructure, it has invested in education and talent development and although being more expensive than other Latin American countries, it’s known as a reliable outsource partner that is trusted by more U.S. companies than any other. All of these are reasons why it is overtaking India as the destination for technology outsourcing. One of the advantages of “Brand India”, has always been the IT sector. And yet, in recent years, that brand has suffered. Not only is the time difference proving a challenge for many U.S. companies, but there is a talent shortage and higher attrition rates of staff in that sector. 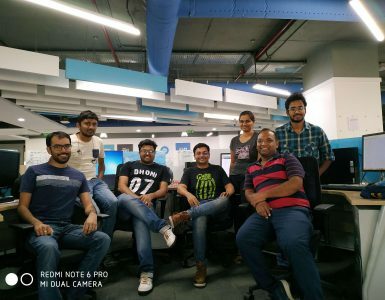 One of the fourth largest Indian IT companies – listed on the New York Stock Exchange – Satyam, went through a high-profile meltdown that caused many to lose confidence in IT outsourcing to India. Another unfortunate disadvantage is the danger of violence. Although in the U.S. media, we hear a lot about gun violence and powerful gangs, those social problems are mainly concentrated in border cities (Juarez, Nuevo Laredo, Nogales), far from the IT and technology centers. According to a CIO report, only one Mexican city – Juarez – made the top 25 most dangerous list. Whereas, eight Tier-1 and II Indian cities made the same list in 2009. Secondary Indian cities (Tier-II), haven’t invested as much in infrastructure as outsource partners and big tech firm’s hoped for a few years ago, which is another reason why American companies are moving outsourcing to other parts of the world, including Mexico. 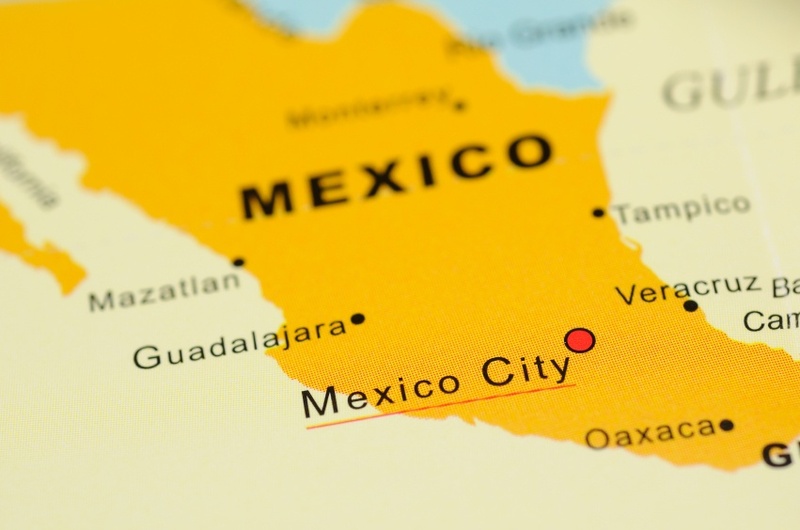 According to a more recent, Economist Intelligence Unit safest cities report, there were no Mexican cities amongst the ten most unsafe places in the world. Mexico is safe, secure and reliable. With the advantage of a competitive and strong labor force that can work with your team in real-time, delivering what you need without the higher costs of recruiting a team of developers in the U.S. As an outsourcing solution, it is an option well worth exploring. Talent: Huge investments in high school and university education is producing 113,000+ technology graduates every year. Infrastructure: A strong commitment to technology and business parks are attracting local and international companies. Mexico also benefits from a mature infrastructure and over 300 flights from the U.S. daily. Collaboration: Real-time communication is possible from every U.S. state, making it easier to work with remote teams. Low rates of staff attrition: Software companies look after staff, which means you benefit from working with the same teams on a project from start to finish. Professional service delivery: Benefit from and expect the same high standards of professional service in Mexico that you get in the U.S. Cost advantages: Competitive costs make it easier to scale a large team quickly, giving you much greater value for money in Mexico.